Explore all Gatlinburg has to offer when you stay at Old Creek Lodge. Experience the best Gatlinburg has to offer with Old Creek Lodge. 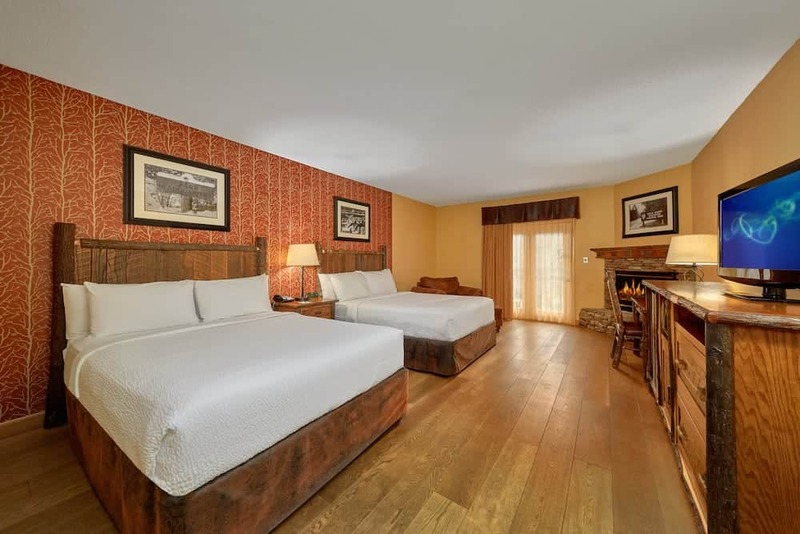 Enjoy quiet downtown Gatlinburg with easy access to the Great Smoky Mountains National Park. At Old Creek Lodge you’ll enjoy traditional mountain decor with state-of-the-art amenities. Shopping, dining and attractions are just steps away in Downtown Gatlinburg. Gatlinburg has been a popular destination for years and you’ll see why as you take in the mountain air, streams and breathtaking views. Take advantage of our free covered parking garage and take the trolley to all of Gatlinburg, the National Park or the attractions of Pigeon Forge, Dollywood, Dolly Parton’s Stampede and outlet shopping. Two Queen Stream View, with two queen size beds and a balcony overlooking a mountain stream. Executive Two Queen Stream View, which adds an in-room Jacuzzi to the two queen configuration. Executive King Stream View, with one king size bed and an in-room Jacuzzi tub. Spa King Suite, which expands the king bed configuration with a living room area with a sofa pullout and two televisions. In-room Jacuzzi tubs in select rooms, so you can achieve maximum relaxation on your stay. In-room refrigerators for the convenience of keeping a cold beverage or food in your room. Old Creek Lodge takes great pride in providing the best, friendliest service of any hotel in Gatlinburg, and we will do whatever it takes to keep our guests happy.